At Peyton Manning Children’s Hospital, the Medical Genetics and Neuro-Development Clinic is here to help every child reach their potential for strong growth and development. St. Vincent Children’s Health Services has a long history for diagnosing and treating children with special needs. Our priority is to give your child every opportunity to thrive despite a genetic condition, such as Down syndrome, or a birth defect. According to the CDC, approximately 1 in 33 babies will have some type of genetic condition or birth defect. Some of these conditions are life threatening. At the Peyton Manning Children’s Hospital the pediatric subspecialists work as a team on behalf of the child and the family. 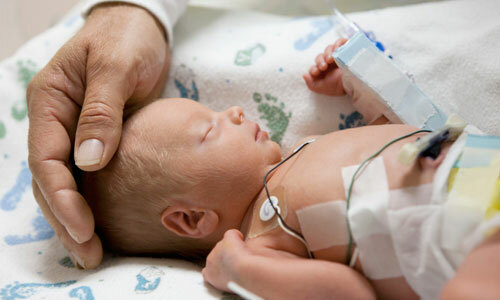 These efforts often start at our Level 4 NICU at St.Vincent Women’s Hospital.